Oh my goodness, yum! I wonder if they deliver big huge tins of this stuff, like the Popcorn Factory. Probably not, so I'm just going to have to wait. I can attest to the tastiness of that seemingly odd mix. I really want to visit Chicago but in the meantime, I might have to check out the NYC store to try this! wow that sounds pretty amazing. will take the shorter route to the nyc location to try! Reminds me of the days I used to visit my grandparents and we'd share a bucket of caramel corn at the boardwalk. Oh so good. 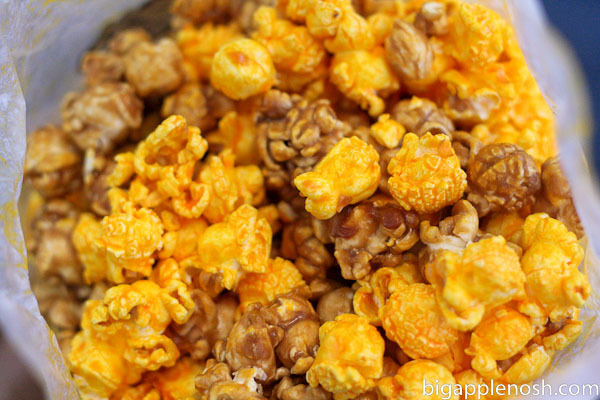 This cheesy/caramel combo sounds amazing. I want! I love popcorn. I love eating it with chocolate chips or nutritional yeast. I also love the olive oil popcorn at trader joe's. Garretts Rocks 🙂 They even have a booth in the O'Hare airport so I always bring a fresh bag home for my MIL! I have heard amazing things about this popcorn, but have yet to try it for myself. I need to get with the times! I feel the same way and loved it when I was in Chicago! Yes yes yes! The caramel/cheese mix does not sound appetizing at first, but it is so frickin good! 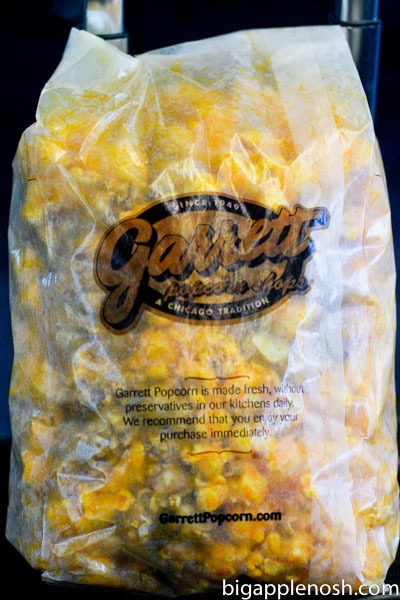 I love me some cheddar/caramel popcorn from Garrett's. Yum. Yum. Agree with honey my heart – cheese + caramel sounds plenty good. And your eyes are big, but never underestimate stomach capacity. mmmm!! I love flavored popcorn!! Looks so good. Great photos!